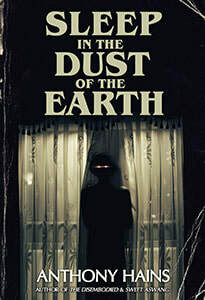 ​More about Sleep in the Dust of the Earth. For a small-town sheriff, Lacey Nelson has encountered more than her fair share of unexplained deaths. The locals attribute their unusually high murder rate to the Torment, a curse that began with a massacre on Somers Mountain over a hundred years ago. Not a fan of ghost stories, Lacey seeks out rational explanations for each case that crosses her desk – until the day a meth-addicted troublemaker shows up, begging her deputies to protect him from his nine-year-old son. 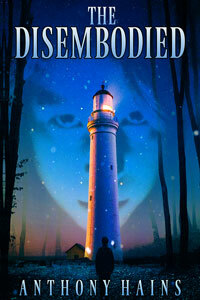 Griffin Rinaldi’s dissociative disorder makes him feel disconnected from his body and mind. After his dad’s death, Griffin is haunted by a red-haired boy only he can see. His sole support is his grandfather, Soren, an author of Outer Banks ghost stories. When a rare blizzard hits the Outer Banks, Griffin recognizes the boy as a vengeful specter from Soren's tales. Unsure if the boy is part of his disorder or an evil entity, Griffin must struggle to save his life, his sanity and maybe his soul. 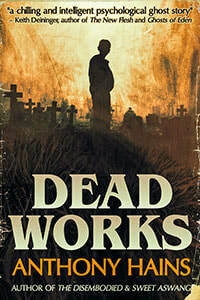 Dead Works is a horror novella in which a doctoral student in counseling psychology must help a boy make sense of ghostly and terrifying visions -- while simultaneously struggling against a world where acts of brutal evil threaten to destroy them both. Birth Offering is a horror novel about an ancient evil, an ungodly ritual and a boy thrust into a living nightmare. Check out my blog for latest updates.